Charitable causes across West Cumbria are financially better off after recently receiving a share of more than £200,000. Cumbria Community Foundation awarded the money to more than 30 charitable groups at its quarterly West Cumbria grants panel. Funding was also given to 25 young people towards academic study and foreign travel. The money came from 10 grant making funds, including those set up by local corporate businesses such as Shepley Engineers and United Utilities. Time to Change West Cumbria, which runs homeless hostel, Calderwood House in Egremont, received £1,000 from the Shepley Group Fund towards allotment costs. Residents are involved in preparing the land and growing food to use at the hostel while offering a therapeutic space to interact with the local Egremont community. Time to Change West Cumbria received a further £10,000 from the United Utilities Legacy Fund for its new project: WOW! Women out West, a brand-new women’s centre based in Kells in Whitehaven. Solway Community School Bike Club based in Silloth, received £1,323 from Hellrigg Wind Farm Community Benefit Fund for set up costs. 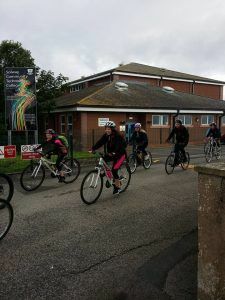 The club aims to get students on their bikes and out into the countryside to improve fitness and wellbeing as well as helping with team building and leadership skills. 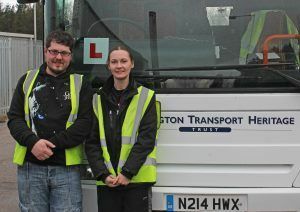 Workington Transport Heritage Trust can now put two of its young volunteers through their Passenger Carrying Vehicle (PCV) driving course thanks to a £3,000 grant from Live the Dream Fund. Football facilities for girls in Workington will improve significantly thanks to £3,000 from the United Utilities Legacy Fund to build new changing rooms at Workington Reds Junior Diamonds Football Club. 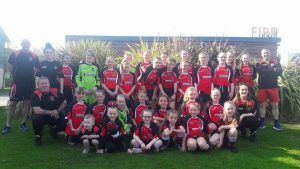 The ladies youth section formed in 2015 and now has more than 100 players, fielding teams from u8 up to open age. The grant awarded will be used to provide changing cabins for use on match days once the “The Diamonds Den” playing fields on Mossbay Road in Workington has been developed. 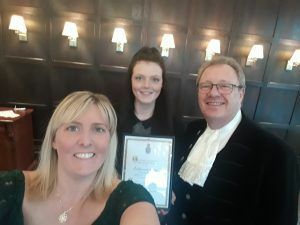 “We are delighted with the support given to us by Cumbria Community Foundation and the United Utilities Legacy Fund, along with the support from other local businesses and members of the public,” Paul continues. Lia Challenger who plays for our Under 16 team, said: “I’ve been a member of the Diamonds for over 4 years and playing football has enabled me to make new friends, be part of a team, keep fit and be a more confident person. The Diamonds Den will give us our own place to play football and I’m sure we will see a lot more girls coming to join us over the next few years”. The closing date for the next West Cumbria grants panel is 25th May 2019. For more information, visit www.cumbriafoundation.org or call a member of the grants team on 01900 825760.